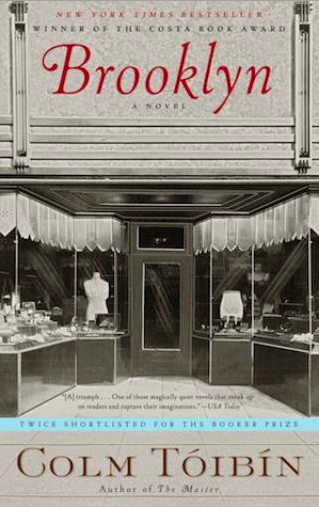 I'd always wanted to read something by Dorothy L. Sayers -- I've read nearly all of Agatha Christie, and I do love the classic mysteries of the 1930s. 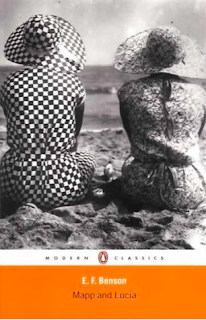 The Nine Tailors seemed like a perfect choice for my next read for The Back to the Classics Challenge because I could count it towards my Classic With a Number in the Title. 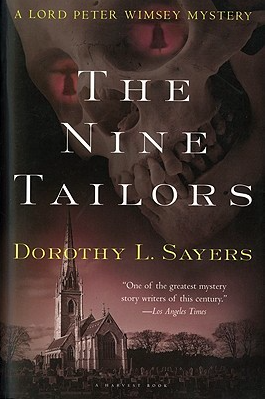 Published in 1934, The Nine Tailors is one of Sayers' mysteries with amateur sleuth Lord Peter Wimsey, who has been described as a cross between Fred Astaire and Bertie Wooster. At the start of the novel, Lord Peter and his valet, Bunter, are driving through the Fens of east England on New Year's Eve to spend the holiday with friends. Due to bad weather and a driving mishap, they are taken in by the local rector, who is in need of an extra bell-ringer for the traditional nine-hour ringing of the bells to ring in the new year. Lord Peter fills in for a bell-ringer who is ill with the Spanish flu, and the very next morning, the wife of the local squire dies of the same illness. Several months later, the squire also passes away, and during the burial preparations, an additional body is discovered in the same grave as his late wife. Lord Peter's assistance is requested and the identity of the body (and the murderer) appear to be linked with the mystery of a valuable emerald necklace that was stolen years ago during the squire's wedding party weekend. This mystery was rather different than what I expected -- I suppose I thought it would be fairly straightforward like Agatha Christie's classics. The Nine Tailors begins with a lot of information about church bells and ringing, and there's a cipher and red herrings and the body itself doesn't show up until about a third of the way into the book. There's also a lot of information about the Fens and sluices which I knew nothing about. 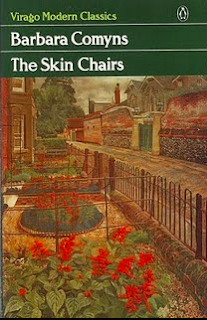 I also noticed that a lot of the exposition in this book takes place in the form of dialogue, or rather, monologues -- especially Reverend Venables, the rector, who tends to ramble on a bit. 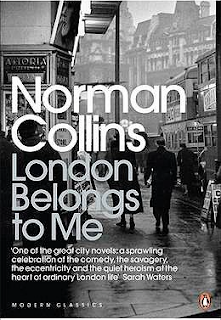 But after I got used to it I really enjoyed this book. Lord Peter is quite charming and I liked the other characters, especially Hilary Thorpe, the daughter of the late squire. It's the eleventh novel Sayers wrote with Lord Peter, and though I normally like to start a series at the beginning, I've noticed with a lot of mysteries it doesn't seem to matter that much. 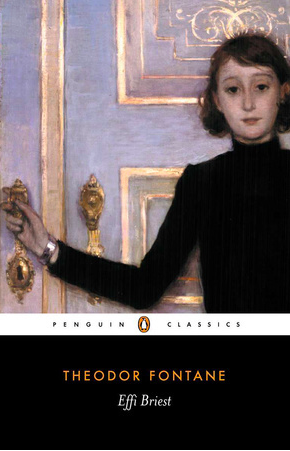 I was also hoping to see Harriet Vane but she isn't in The Nine Tailors, so I'll have to go back to the beginning and read the rest of them in order. 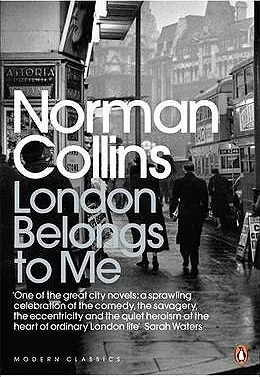 I really enjoyed this book and particularly enjoyed the audio version narrated by Ian Carmichael which I was able to download from my library. 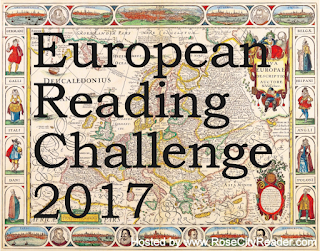 I'm counting this as my Classic With a Number in the Title for the Back to the Classics Challenge and as my book set in England for the 2017 European Reading Challenge. Last summer I was lucky enough to visit Paris, which is only a three-hour train ride from our new home in southwest Germany. Of course we had to visit the famous Shakespeare and Company bookstore which is on the Seine, just across from the Notre Dame Cathedral. Not only do they have a great selection of books -- all in English -- they also have a tiny collectible bookstore, and tables out front with some used books as well. One of my finds was The Country Girls Trilogy and Epilogue by Edna O'Brien, which I chose as my 20th Century Classic selection for the Back to the Classics Challenge. 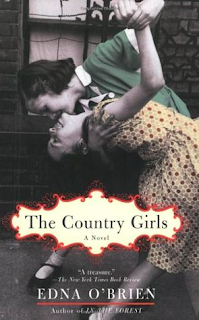 This book is actually a omnibus of three novellas: The Country Girls (1960); The Girl With Green Eyes (also known as The Lonely Girl) (1962); and Girls in Their Married Bliss (1964). The edition I read also includes the epilogue that O'Brien added in 1986. 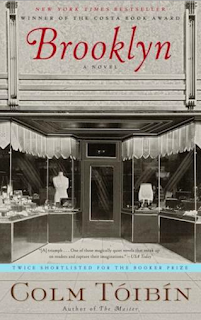 It's the two story of two young women, Caithleen and Barbara, growing up in the early 1960s. The girls are childhood best friends in a small town in western Ireland. Eventually, they move to Dublin and ultimately to London. 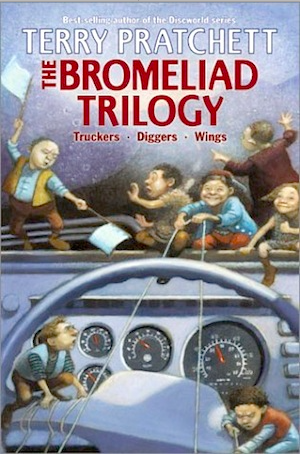 The first two books are narrated by Caithleen, also known as Kate. In the first volume, Kate is a rather poor, bookish girl, sweet, but dominated by her more assertive friend Barbara (also known as Baba). Baba's dad is the local veterinarian so they have a pretty comfortable life, but Kate's father is a heavy drinker and they are struggling to hold on to the family farm which is heavily mortgaged. Kate gets a scholarship to a convent school, and Baba attends as well (though she makes it clear she is NOT on a scholarship). It's mostly the story of their teenage years adjusting to the convent school, girlhood crushes, and friendships. Baba is the more dominant in the relationship and the way she treated Kate sometimes made me really uncomfortable, but ultimately, Baba and Kate are always there for one another. In the second volume, The Girl with Green Eyes, the girls have moved to Dublin, and Baba is mostly in the background as Kate is navigating her first real love affair with an older man, to the displeasure of her relatives and all the people back home who decide to get involved. It was appalling to me how these outsiders felt they had a right to interfere. I've never lived in small town but I can't imagine everyone knowing my business. The third volume alternates between the third person story of Kate, and Baba's story, told in her own voice. Baba's narration is darkly funny but ultimately, I found this book really sad. As late as the 1960s, women in Ireland (and England) had so few rights, it was infuriating. 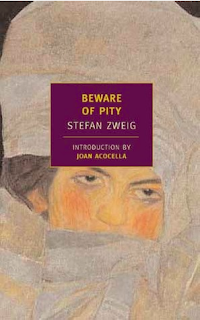 The book is well-written and the characters really came alive for me, but it was quite depressing. There were a few funny moments but parts are quite heartbreaking. 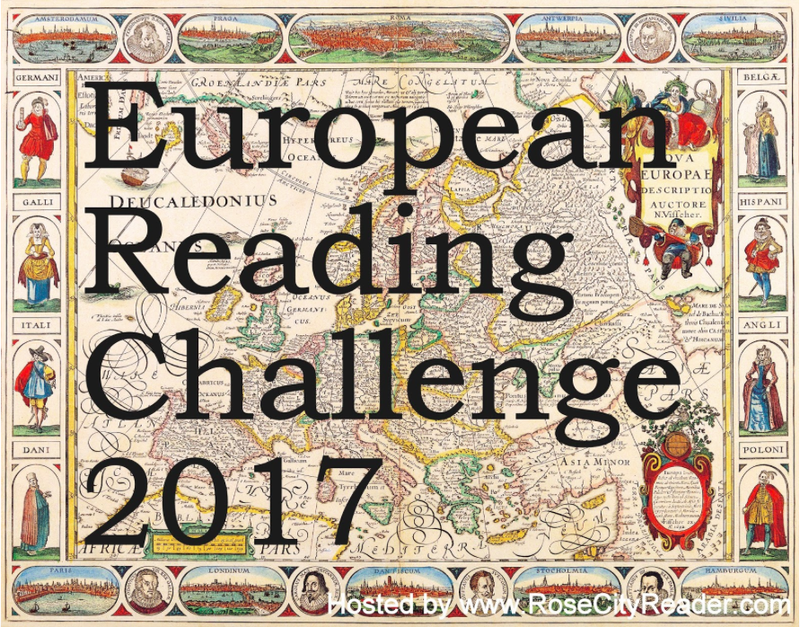 I'm counting this as my Classic Set in a Place I'd Like to Visit (Ireland) for the Back to the Classics Challenge and also my first book for the European Reading Challenge 2017. Please link your reviews for your Russian Classic here. This is only for the Russian Classic category. If you do not have a blog, or somewhere public on the internet where you post book reviews, please write your mini-review/thoughts in the comments section. If you like, you can include the name of your blog and/or the title of the book in your link, like this: "Karen K. @ Books and Chocolate (Crime and Punishment)." Please link your reviews for your Award-Winning Classic here. This is only for the Award- Winning Classic category. It could be the Newbery Award, the Pulitzer Prize, the Prix Goncourt -- any literary prize. It must be the actual award-winner; runners-up and nominees do not count. Please include the name of the prize the book won in your review. If you do not have a blog, or somewhere public on the internet where you post book reviews, please write your mini-review/thoughts in the comments section. If you like, you can include the name of your blog and/or the title of the book in your link, like this: "Karen K. @ Books and Chocolate (The Age of Innocence). " Please link your reviews for your Romance Classic here. This is only for the Romance Classic category. It can have a happy or sad ending, but their must be a strong romantic element to the story. Please link your reviews for your Classic Set in a Place You'd Like to Visit here. This is only for the Classic Set in a Place You'd Like to Visit category. If you like, include the place (if it isn't obvious) and why you'd like to visit in your review -- I'm sure readers would like to know! If you do not have a blog, or somewhere public on the internet where you post book reviews, please write your mini-review/thoughts in the comments section. If you like, you can include the name of your blog and/or the title of the book in your link, like this: "Karen K. @ Books and Chocolate (Death on the Nile). " Please link your reviews for your Classic About an Animal or With an Animal in the Title here. This is only for the Classic About an Animal or Animal in the Title category. The animal can be real, imaginary, or metaphorical. If the animal is not obvious, please clarify in your post. If you do not have a blog, or somewhere public on the internet where you post book reviews, please write your mini-review/thoughts in the comments section. If you like, you can include the name of your blog and/or the title of the book in your link, like this: "Karen K. @ Books and Chocolate (To Kill a Mockingbird)." Please link your reviews for your Classic with a Number in the Title here. This is only for the Classic with a Number in the Title category. It must be an actual number (i.e., A Tale of Two Cities; Fahrenheit 451; The Nine Tailors.) Roman numerals (i.e., Henry V) are fine, but ordinal numbers such as "first" and amounts such as "half" or "none" are not numbers; therefore, they do not count. Please link your reviews for your Gothic or Horror Classic here. This is only for the Gothic or Horror Classic category. If you do not have a blog, or somewhere public on the internet where you post book reviews, please write your mini-review/thoughts in the comments section. If you like, you can include the name of your blog and/or the title of the book in your link, like this: "Karen K. @ Books and Chocolate (Rebecca)." Please link your reviews for your Classic Published Before 1800 here. This is only for the Classic Published Before 1800 category. All books in this category must have been published before the year 1800. Plays and epic poems are acceptable for this category. If you do not have a blog, or somewhere public on the internet where you post book reviews, please write your mini-review/thoughts in the comments section. If you like, you can include the name of your blog and/or the title of the book in your link, like this: "Karen K. @ Books and Chocolate (Candide)." If you do not have a blog, or somewhere public on the internet where you post book reviews, please write your mini-review/thoughts in the comments section. If you like, you can include the name of your blog and/or the title of the book in your link, like this: "Karen K. @ Books and Chocolate (Les Miserables)." Please link your reviews for your Classic by a Woman Author here. This is only for the Classic by a Woman Author category. If you do not have a blog, or somewhere public on the internet where you post book reviews, please write your mini-review/thoughts in the comments section. If you like, you can include the name of your blog and/or the title of the book in your link, like this: "Karen K. @ Books and Chocolate (Pride and Prejudice)." Please link your reviews for your 20th Century Classic here. This is only for the 20th Century Classic category. 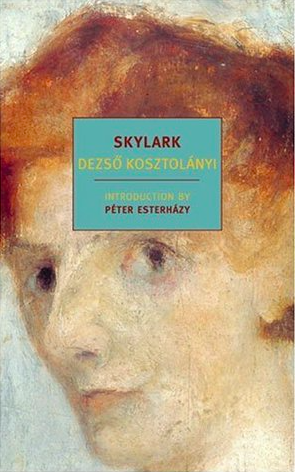 All books in this category must have been published between 1900 and 1967 to qualify as classics (except for posthumous publications. If you do not have a blog, or somewhere public on the internet where you post book reviews, please write your mini-review/thoughts in the comments section. If you like, you can include the name of your blog and/or the title of the book in your link, like this: "Karen K. @ Books and Chocolate (East of Eden)." Please link your reviews for your 19th Century Classic here. This is only for the 19th Century Classic category. All books in this category must have been published from 1800 to 1899. If you do not have a blog, or somewhere public on the internet where you post book reviews, please write your mini-review/thoughts in the comments section. If you like, you can include the name of your blog and/or the title of the book in your link, like this: "Karen K. @ Books and Chocolate (Oliver Twist)." 1. The Code of the Woosters by P. G. Wodehouse. 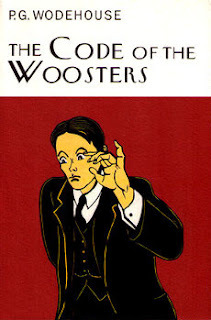 One of the most popular Bertie and Jeeves stories, and considered by many to be the best. Lots of mayhem, silliness, and a silver cow creamer. I knew the plot from the BBC series but it was still hilarious. 2. Phineas Redux by Anthony Trollope. Book #4 of the Barchester Chronicles. I figured it would be a bit of a slog since Phineas Finn wasn't my favorite, but it was great -- I suppose putting the main character on trial for murder would perk up any Victorian novel! 3. 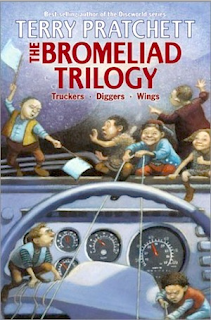 The Bromeliad Trilogy by Terry Pratchett. I haven't read much middle-grade fiction the last few years but this had been hanging around the TBR shelves and I needed a fun, light read last spring. I'd only read one other book by Terry Pratchett (Good Omens) and I absolutely loved it. It was laugh-out-loud funny and I definitely want to read more of his works. 4. The Mapp and Lucia series by E. F. Benson. I read five of the six novels in the series this year -- I really needed some levity with all the stress (not to mention the election). Mapp and Lucia, the fourth novel, was my favorite but they are all wonderful. Sadly, I only have one left to read but I know Benson wrote quite a few more books. 5. The Chateau by William Maxwell. A delightful find at a small used bookstore on the military base. A young American couple take an extended visit to postwar France. It's really not about much, plot-wise, but I loved the characters and all the descriptions. A slow, thoughtful book but definitely worth reading if that is your cup of tea. 6. Brooklyn by Colm Toibin. A lovely book. 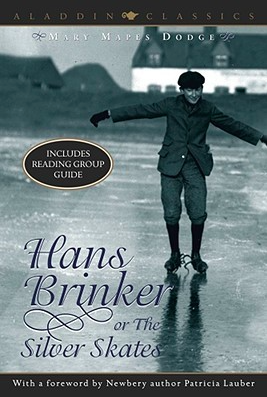 I'd seen the Oscar-nominated film, which I loved, but the book was even better. 7. Appetite for Life: The Biography of Julia Child by Noel Riley Fitch. Another book I've owned for years but never touched. It was a little slow starting but Child's life was even more fascinating than I expected. If you liked Julie & Julia or My Life in France I highly recommend it. 8. The Skin Chairs by Barbara Comyns. A quirky little Virago about an eccentric but endearing family. It was just the sort of book I like. 9. Main Street by Sinclair Lewis. One of the books from my Classics Club list, I'd been putting it off forever and I was so glad I finally got around to reading it! A wry satire of a young librarian who moves to a small town in Minnesota and attempts to bring some culture to the locals. 10. The Quincunx by Charles Palliser. 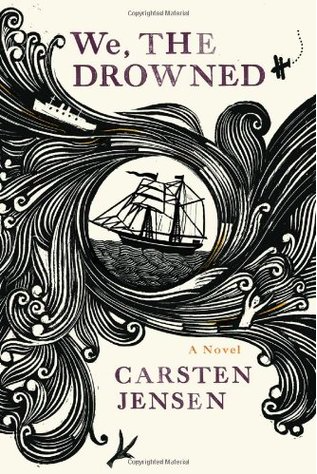 A big, fat, historical novel, just the thing if you're a fan of Charles Dickens or Wilkie Collins. I know I could have finished three or even four books in the same time but it was worth every minute. So -- an eclectic list, but that's me! I have lots of good reads on the horizon, plus another challenge. Bloggers, how was your 2016 in books? What are you looking forward to reading? And have any of you read these books? 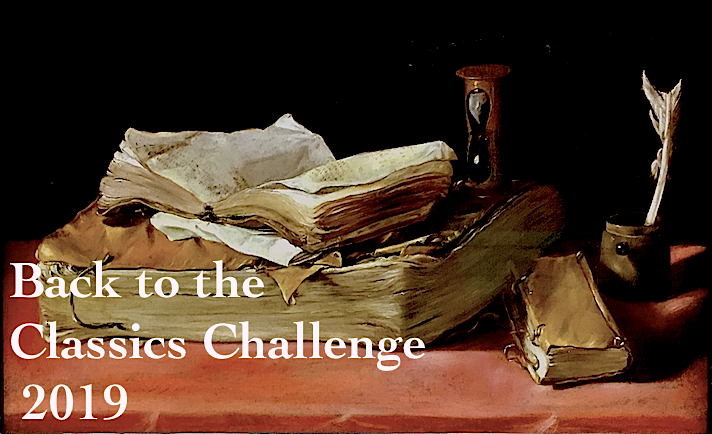 And the winner of the Back to the Classics Challenge 2016 prize drawing is . . . . Rob @ Loose Logic !!!! Rob, you've won a gift card worth $30 (US) from Amazon.com or $30 in books from The Book Depository!! Congratulations!!! Please contact me at karen librarian 13 [at] yahoo [dot] com so I can send you your prize. And many thanks to all the bloggers who participated in this event! More than 150 people signed up, and 37 people completed the challenge. But don't forget, we're all winners, because we've all crossed some classics books off of our to-read lists!! 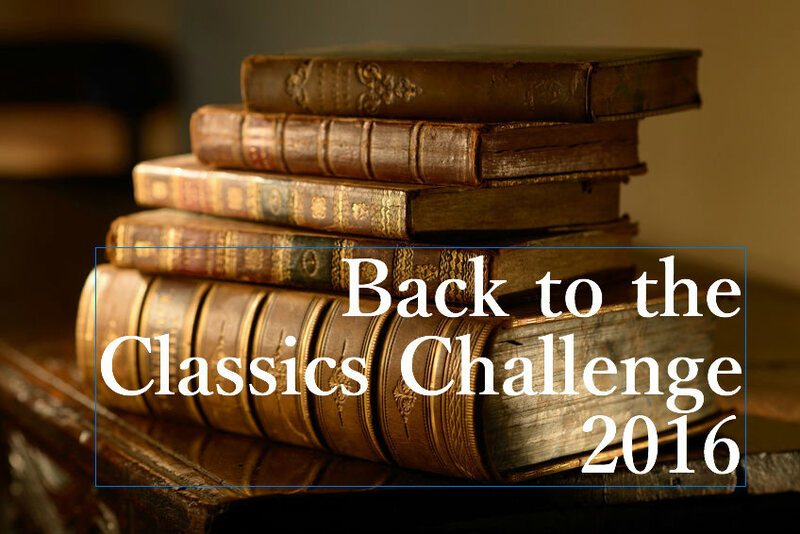 I hope everyone enjoyed themselves and that you've signed up for the Back to the Classics Challenge 2017. I'm very excited about starting on my own list and reading everyone's new posts. Later this week I'll start posting the links for your 2017 reviews. Thanks again to everyone for participating!